Your real alternative to the dealer! Contrary to popular belief new vehicles do not have to be returned to the dealer for service in order to maintain the vehicle warranty. 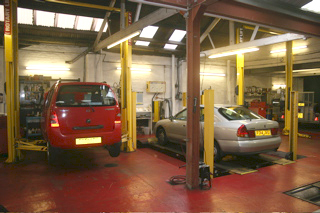 However in order to maintain the warranty the vehicle must be serviced in accordance with the manufacturer’s current service schedule, carried out by skilled and competent technicians, with proof of service record kept and replacement parts being used should meet or exceed the original equipment specification. By having your vehicle serviced with us, you can rest assured that the above requirements have been met or exceeded and therefore you can be confident that the vehicle warranty is maintained. Please contact us if you should require any further information on this subject.